There was only one witness today and court finished early. I have posted today's tweets from the courtroom here. It's up to you whether you read them first, if at all. This write-up can be read in isolation. Louise Dar was the last of the six Lead Claimants to be cross-examined in this trial. Her five predecessors were Alan Bates, Pam Stubbs, Mohammad Sabir, Naushad Abdulla and Liz Stockdale. As with previous witnesses, I am unable to see their witness statements before they are sworn in. When they are sworn in, I make an email request for their witness statements, which I then acquire. I understand the necessity of not making a witness statement available before the witness is sworn in, but it means I have to play catch up on the witness's story whilst also trying to live tweet the cross-examination process. No system is perfect. I am grateful to people who are supplying me with the information I am getting. Ms Dar was Subpostmaster of the Lenzie branch in Glasgow, from 19 November 2014 to 27 March 2017 when she, like Mr Abdulla, was "summarily terminated" after allegedly racking up a series of four figure shortfalls. "Set up of the branch took place on 17-18 November 2014. The Post Office auditor present was Ms Margaret Guthrie. It was her job to set up the branch and to provide induction training and ongoing support during my first days of operation. 88. On the first day of set up, Ms Guthrie experienced problems logging in to Horizon, and it took her around 2 hours to even get in to the system. 89. In the weeks leading up to the branch opening, Post Office had delivered various labels, forms, and other items necessary to set up the counter. There were also deliveries of cash, stamps and stock which arrived on the first day of set up. 90. It was Ms Guthrie’s job to enter the cash, stamps and stock which had been delivered onto Horizon, but she made mistakes when she was doing this, so that even before we had even opened we had an apparent shortfall of £977. I explain this further below. 91. During this period prior to branch opening, Ms Guthrie provided some induction training to me, my husband Rehman, and our assistant Ms Jasbir Sohi but I do not think this followed the course content which had been emailed in advance, Ms Guthrie was trying to fix the problems which I have referred to above." "110.... I did not expect to immediately have a problem in my branch accounts, but an error was introduced by the Post Office’s own auditor Ms Guthrie, as I have mentioned above. As I later recorded in my email to Mr Trotter on 12 February 2015, it appears that the apparent shortfall first appeared at the time of the first roll over to the next trading period, Ms Guthrie tried and failed to resolve it, then left me with the problem in my accounts. After a period this appeared to go away, and I was told by the Helpline it had been resolved, only to then be billed the amount months later, in February 2015. 111. At the time in November 2014, Ms Guthrie did not know what had caused this problem. At one point she suggested that I might have taken the money, which I was very shocked by and was in any event ridiculous because she had been with me all day. She then said it was likely caused by the power cut we had experienced. Ms Guthrie wasn’t able to find out that it was her mistake that had caused the problem. She said things like it was “the system” which was the problem." "93. Ms Guthrie did tell me that I would have to make good shortfalls showing on Horizon, and said I would be lucky if I was only £20 to £30 down when balancing. I was concerned about this, and specifically asked Ms Guthrie what do if the system wasn’t balancing, but she just said to call the Helpline and that they would resolve any problems. I told Ms Guthrie that I wasn’t comfortable opening the branch without any troubleshooting training and I asked if any could be provided, but she didn’t offer me anything more, she told me that I would just have to get on with it and call the Helpline if I had problems. This is not what I expected, and it meant that I was left entirely reliant on the Helpline if I had problems." It's interesting that Ms Dar does not use her witness statement (and did not use her time on the stand today) to explicity allege there are problems, bugs or glitches in the Horizon system (though she does say below her experiences "suggest" there was). Her biggest glitch appears to have been Ms Guthrie. Margaret Guthrie makes a return eight months later to audit Ms Dar's branch. She finds a discrepancy of £10,423.96, which Ms Dar was held liable for. 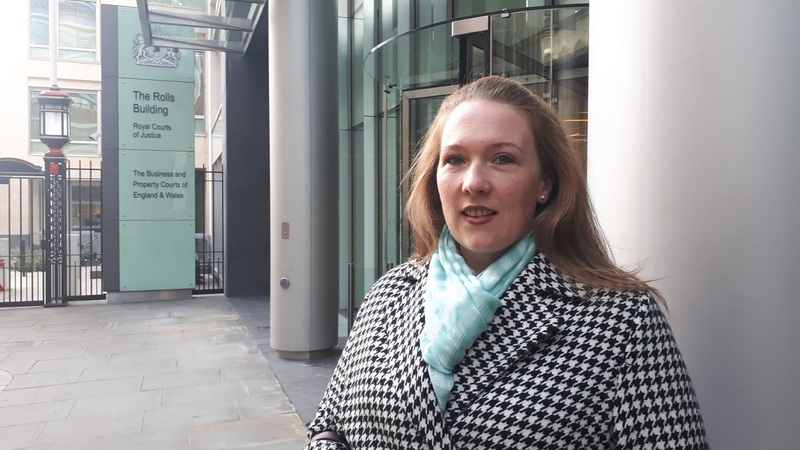 (Ms Guthrie, afaik, and much to Ms Dar's disgust, is not due to give evidence in this trial, but if she would like the right of reply on this blog she, or her representatives are welcome to get in touch). As Ms Dar is not alleging problems with Horizon directly, Ms Dar's evidence brings the Post Office's other systems into focus - contracting new Subpostmasters, training them, supporting them and their use of Horizon, investigating them and the process for booting them out. Ms Dar, along with her five predecessors in the witness box, claim they didn't get a proper view of the Subpostmaster contract, they didn't get time to read or understand the documents they were signing and they didn't really understand the implications of what they might be getting into. Mr Cavender, the Post Office's extremely capable QC, set about Ms Dar's arguments in the same way he set about the other lead claimants, painting them as experienced, intelligent people who went into their business relationship with the Post Office with their eyes open to the risks, and fully aware of the import of the documentation they signed and the contract they definitely, definitely, definitely received. Mr Cavender's questioning of Ms Dar on the documents she did sign took an unexpected turn when he asked her about the documents Ms Guthrie gave Ms Dar on the day the branch was transferred to her. He asked if she remembers signing a document on which it is stated she agrees "to be bound by the terms of her agreement". Ms Dar paints a picture of a busy branch which was opening late and getting very busy and said that several documents were thrust into her hand by Mrs Guthrie who asked her to sign them. Mr Cavender pushed back suggesting that the document Ms Dar was being shown in court on the screen in front of her had very few words on it, and at that point Ms Dar burst into tears, evidently reliving a difficult moment. 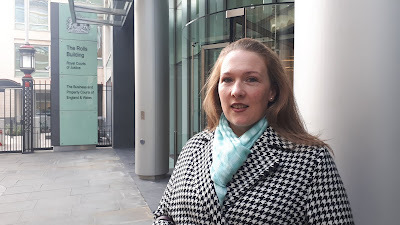 Ms Dar told the judge about the state ("a shambles", "a complete mess") Ms Guthrie had left the branch in and said that Ms Guthrie should be in court because she "had questions to answer" about what she did to her. Mr David Jones: Looking beyond the issue of mediation, it is clear from what we have heard in the debate that a large number of people have had their life ruined because they adopted accounting practices on the basis of advice given to them by the Post Office. In other words, as I said in an intervention, the Post Office itself was counselling on procuring false accounting. Has my hon. Friend the Minister considered referring that matter to the prosecuting authorities? Mr Kevan Jones: You’re the Minister, do something! "118. I was one time told how to “get around” Horizon by altering stock figures to balance, which was obviously not helping me to find the specific problem, and was just covering it up. They told me they ‘shouldn’t be doing this’ but that this was the only way around the problem I had. This felt wrong and it was concerning to me that there were little ’work arounds’ to dealing with the Horizon system, this really suggested that there was some kind of fault in the system." Mr Cavender told Ms Dar that this exchange "did not happen." "It categorically did", she replied. Mr Cavender asked her what she did about the situation, and Ms Dar replied she carried out the Helpline's instruction. Earlier Mr Cavender had drawn attention to the results of one audit in which it is noted that Ms Dar had balanced the night before with 400 x £2 coins in branch, yet when the auditor arrived the next day, there were just 2 x £2 coins. Ms Dar could not explain this. Mr Cavender also drew attention to one of Ms Dar's audits in which thousands of pounds of foreign exchange money was also missing. Ms Dar could not explain why this was missing either. 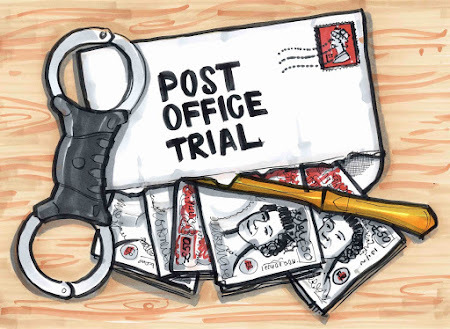 The trial continues tomorrow with the first two Post Office witnesses being cross-examined. The judge, I think, said it would be a Mr Beale and a Mr Williamson, but we'll see when we get to court at 10.30am tomorrow.